There is no sign that the largest opposition Democratic Party of Japan (DPJ) will recover its strength although one year has passed since its leader Katsuya Okada assumed his post following the party's setback in the 2014 general election. A key to recovering the DPJ's strength is its planned integration with the Japan Innovation Party (JIP) and other opposition parties as well as election cooperation between opposition parties, including the Japanese Communist Party (JCP). However, Okada has failed to exercise strong leadership. He faces a crucial test over whether the party will gain a clue to regaining public support in the upcoming House of Councillors election. "This year is a crucial year as we face the upper house race. I'll stand at the forefront. We must brace ourselves and put our utmost efforts into the election," Okada told an executive office meeting on Jan. 18. Okada assumed the post of DPJ president after his predecessor Banri Kaieda was defeated in the December 2014 House of Representatives election. However, the party has been slumping in the following elections, including April 2015 nationwide local elections, while the JCP is showing outstanding performances in recent years. The approval rating for the DPJ has been hovering low. The figure stood at 10 percent in December 2014 before Okada became its leader, but fell to 7 percent by December 2015, according to Mainichi Shimbun opinion polls. The DPJ has still failed to show the number of seats it aims to win in the upcoming upper house poll. It is a tough battle for the 42 seats that will be contested in the election. In the previous election in 2013, the party won only 17 seats. A mid-ranking legislator with the DPJ says, "We will likely win fewer than 20 seats if the current situation continues." One way to break the deadlock is integration of opposition parties, including a merger between the DPJ and the JIP that formed a parliamentary alliance in the lower chamber in December. However, some challenges must be overcome before achieving this. Okada mentioned the possibility -- for the first time on Jan. 8 -- that the DPJ will change its name if it merges with the JIP. Still, Okada is careful about disbanding the DPJ to form a new party. Kenji Eda, a legislator with the JIP, has strongly urged Okada to make up his mind to disband the DPJ. "The DPJ would be ruined if it were to refuse to disband itself (and team up with other opposition parties)," Eda warned. The main opposition party has also failed to work out a strategy for election cooperation between opposition parties, which is crucial particularly in constituencies in which only one seat is up for grabs. Okada had initially been positive about cooperating with the JCP in fielding a single opposition candidate in some constituencies, but turned prudent after conservatives within the DPJ voiced opposition to joining hands with Communists. The JCP and the Social Democratic Party (SDP) are strongly urging Okada to press forward with election cooperation between opposition forces. 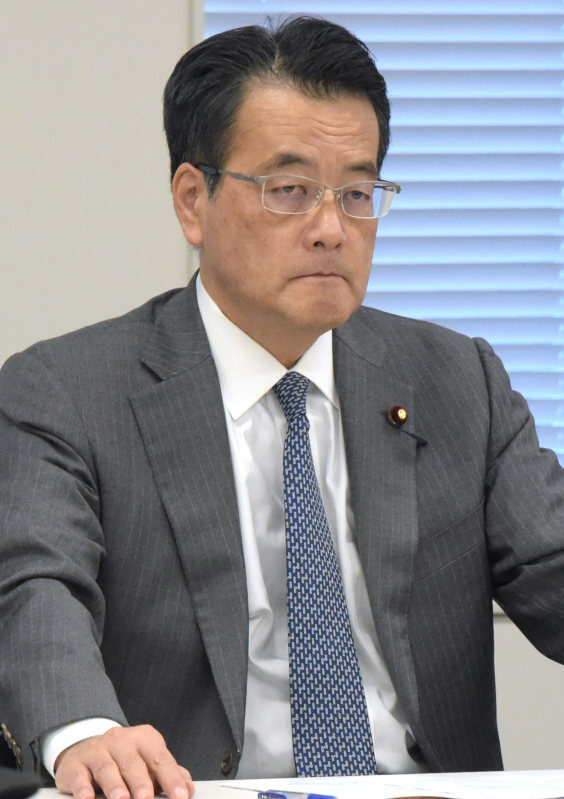 At a news conference on Jan. 18, Yoshiki Yamashita, head of the Secretariat of the JCP, said the party would like to call on the DPJ to "enter consultations without preconditions attached." SDP leader Tadatomo Yoshida also told a separate press conference on the same day, "The DPJ is too passive. The party should be more proactive about election cooperation." Okada's cherished motto is being a "late bloomer." He is known for being prudent and solid. However, critics of Okada within the DPJ say the leader lacks decision-making power, as he is cautious even about these tasks (election cooperation). Depending on progress on the merger with the JIP and the outcome of the upper house election, Okada and his executive office could come under bitter criticism from within the party, even sparking calls for bringing forward the party's leadership election before his current term ends in September 2017. The next six months leading up to the upper house election will be a crucial period for Okada as his leadership ability will be tested.